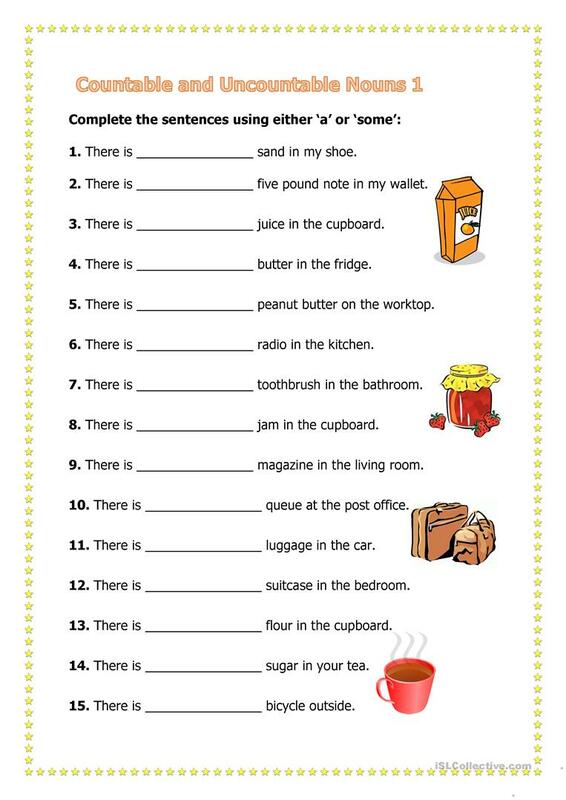 Learners are required to fill in the blanks with either some and a. The present downloadable printable is meant for adults at Beginner (pre-A1) and Elementary (A1) level. It is aimed at revising Countable and uncountable nouns in English, and is a valuable material for working on your groups' Reading and Writing skills.